Global economic turmoil triggered sudden increase in all precious metals prices, including platinum. This metal has been actively used for several hundred years after it had been deemed by scientists to have nearly magic powers of not burning in fire and not being able to be destroyed by chemical compounds. Incredible metal scarcity sparked investors’ interest back in the 70’s after infamous Arab Oil Embargo crisis. Which in turn resulted in very first platinum bars to be minted in Japan. European manufacturers Johnson Matthey and Engelhard followed the suit by minting their own platinum investment products several years later. Let’s take a look at 5 advantages to investing into these bullion products. 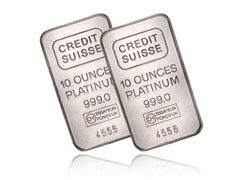 One of the major advantages of platinum bars is the demand that investors have for this metal. The popularity of both platinum and palladium bullion among investors has gotten very high in recent years. This high demand leads to an increase in value, and there is a big chance that these metals will continue to see price increases instead of decreases. That’s why many investors search platinum bars for sale all over the world. One of the biggest reasons that platinum bars and coins are so valuable is that this precious metal is only found in a few areas around the globe, namely Siberian wilderness of Russia and South African savanna. This means that these few countries have control over the supply of platinum, and makes the metal harder to get and therefore more valuable to investors. Investors in gold bar bullion know that there are many places this metal can be found, but that is not the case with platinum bars. In addition to only be found in a few places around the world this metal is only found in small amounts. There is a very limited amount of platinum on the earth, which makes it one of the rarest precious metals you can invest in. Platinum bullion, just like gold bullion, is used in jewelry and in manufacturing processes. This factor is another advantage for investors who choose platinum bullion bars and coins, because the demand from these two sectors also helps to push up the value of the investment. Owning Platinum bars is a win-win situation. In the worst economic times scenario, you can rest assured that your platinum investment will ward off your savings against devaluing currencies.